I decided to attend the now famous Christie Auction in East Orange in September 1996. I convinced Ross Anderson, a new acquaintance to go to East Orange on the day before the auction to see the cars and possibly partner with me in buying one. 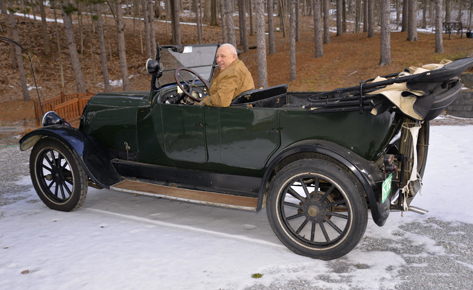 After viewing the dust covered and neglected relics of another time we decided we would bid on at least one of the cars. I had met A.K. 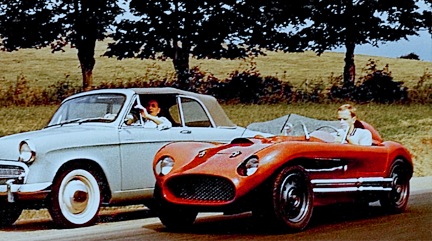 Miller back in the 1950s driving an HCS touring car and had visited him with John Hawkinson (Hawkeye) a few years later. This early contact had introduced me to the HCS brand and to A.K Miller’s personality which could only be described as odd. Due to my early contact with A.K. Miller and some further research I became most interested in the HCS cars. 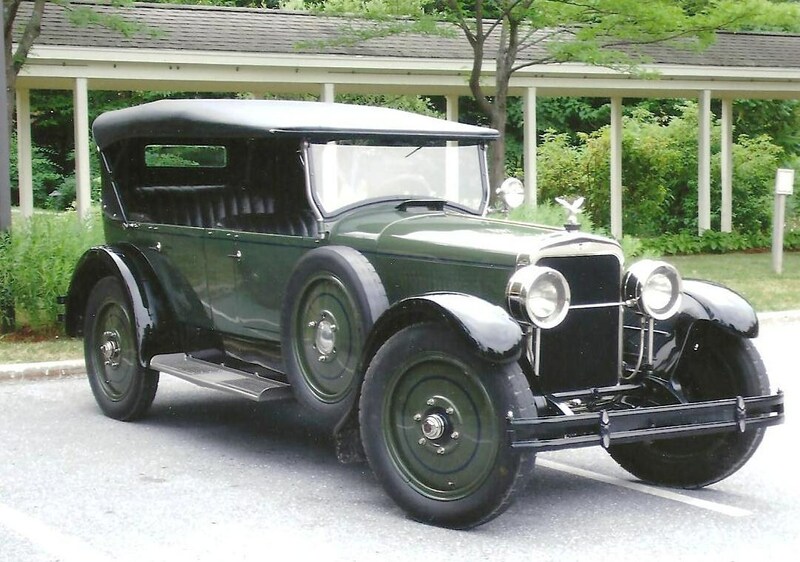 Since HCS cars were built by Harry Clayton Stutz (thus HCS), after he had lost the Stutz Motor Car Company in a stock takeover, they were now considered to be Stutzes. 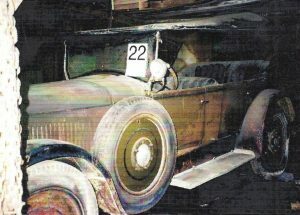 There were several HCS cars in the Miller collection. 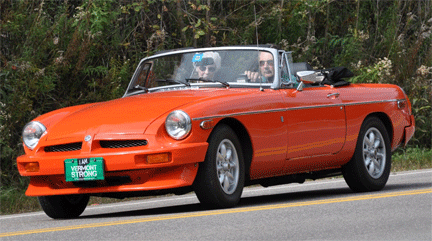 There were 3 or 4 four cylinder cars with wire wheels and one six cylinder car with disc wheels. 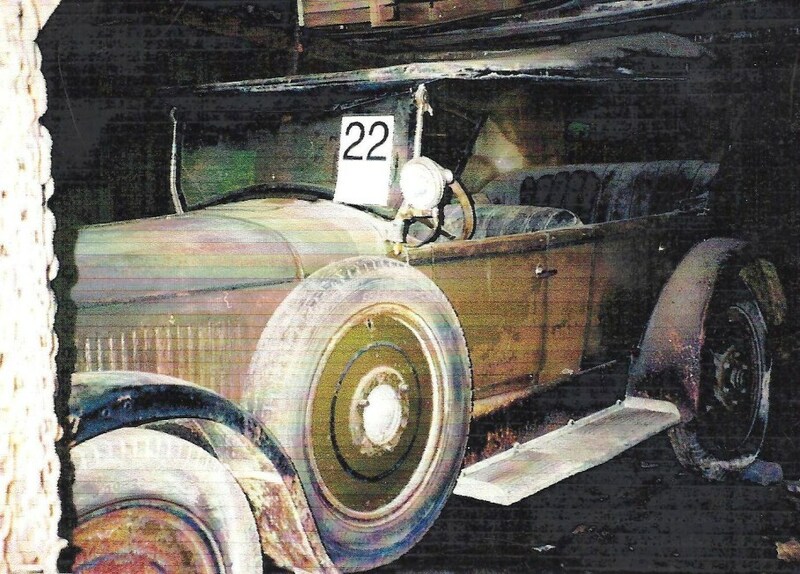 It was very difficult to determine the condition of the over fifty cars in the short time available but we developed a list of the cars that we felt might be within reason and how much we would bid. On the next day (auction day) only I was able to attend the auction so it became my responsibility to do the bidding. 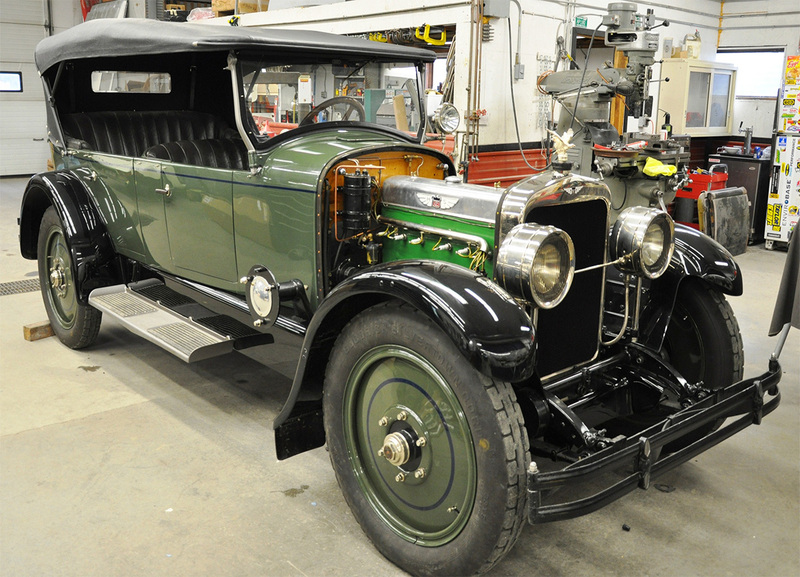 The auction was very well attended due to much publicity and the reputation of the Stutz name as well as the long standing anticipation of the break-up of this most unusual collection. The bidding was brisk. I was successful with my bid for the six cylinder HCS which was numbered lot #22. I made bids on a second HCS but was out bid to my relief. A great deal of mystery surrounded A.K Miller and his wife, Imogene. 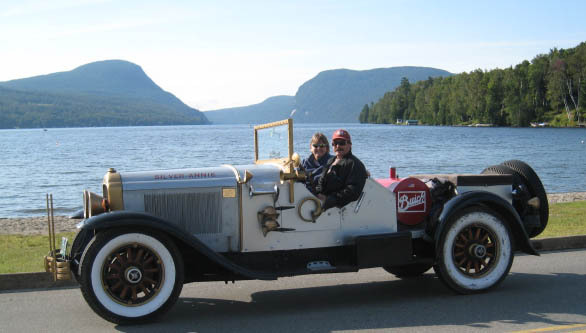 They had moved from East Orange, New Jersey to East Orange, Vermont in the late forties, early fifties, bringing with them a huge collection of Stutz cars and other significant cars as well as an autogiro. They lived very frugally even though they had considerable wealth! Occasionally A.K. would agree to sell a car but he would withhold a crucial part for which he was the only source. 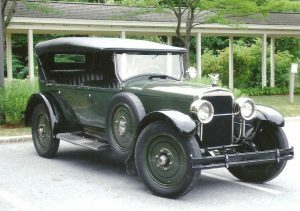 We brought our prize HCS and several hundred dollars of Stutz ephemera home to Burlington in my trailer and proceeded with the restoration. 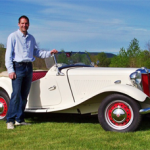 A few years after the purchase and the initial restoration, I purchased Ross’s share of the car and continued with the restoration. One can see from the photos that there was plenty to do. 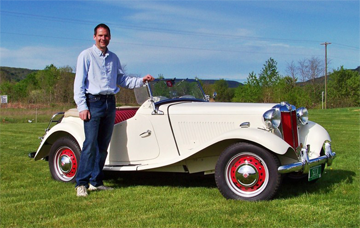 This year at Stowe Car Show this car received a first place indicating the restoration was a good one and a fitting tribute to Harry Clayton Stutz and to Alexander Kennedy Miller. DON’T spring it on her the morning of the show! ASK her about the date at least 2 weeks before. DON’T expect her to pack the lunch, get the cooler ready, pack all the things needed for children (if there are any) and then wash the car! DON’T forget that while most “car guys” don’t need food, drink or a restroom, the rest of us do!! DON’T think that you get any trophy for being the last one to leave the show! DON’T forget that if children are involved, everything is much harder! 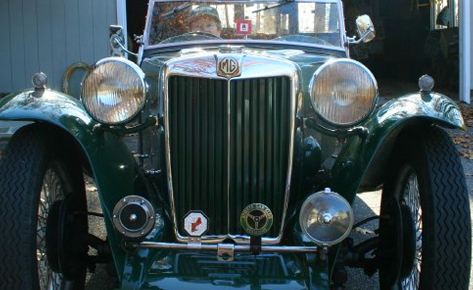 DON’T give her a crash course in what the car is and has (unless she asks you to!) I have found that most “car guys” will believe anything you tell them! DO introduce “car shows” in small doses. Be sensitive to how much fun everyone is having. DO offer to take the children while she strolls through the flea market. DO try and introduce your mate and curtail almost all lengthy conversations and do your best to “move along”! DO take pictures but don’t feel you have to wait for every spectator to leave the field, besides, I’ll bet you already have a picture of the car back home, somewhere! DO return to the car from time to time so you can ask if she needs anything and she can be sure that it wasn’t you being taken away in the ambulance that left the field earlier! Now, go and have a good time but remember in almost all cases, everything is easier to do at HOME!! Cars are bedded down for the winter, holidays are over, there are still remnants of cookies and fudge and decorations, so now you would think that we could all settle in for the cold and snowy days ahead. Maybe catch up some of the reading you have wanted to do or some “winter” project that you want to get done. 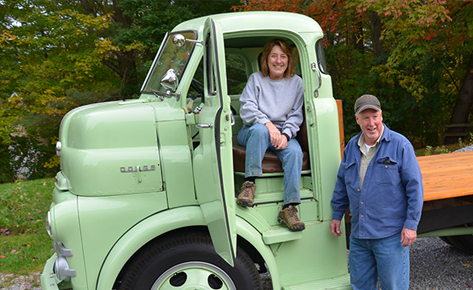 If you are like us, these “projects” have been begging to be done for several winters. But, this is the year to get it done. Sounds good, doesn’t it? As usual, something seems to get in the way of all our good intentions. Let me tell you about ours. About March of 2012, a skinny, scraggly, dirty cat showed up at our door. He was very skittish and extremely hungry. So we started to feed him and he came every morning about 6 AM and scratched at the door and waited for us to give him his breakfast. This was repeated again about 6 PM and we soon learned his schedule and tried to comply, even asking a neighbor to bring his meals when we had to be gone. We named him Willys (Willy) and tried to get friendly with him but making friends was on us, he continued to accept and maybe I should say, demand, service but didn’t seem to get any “closer”. At one point he bit Gary, bad enough to draw blood. While not exactly the behavior we had wanted from him, it would have been ok if there hadn’t been a rabies scare in the area. From the look of Willy, with his crooked tail and a piece torn out of his ear, with no shots, Gary could be at risk. He contacted someone involved in catching stray cats and they set up a “have a heart” trap. If caught, Willy would be taken to a vet, get a checkup, have shots, be neutered and taken to a farm in the area that accepts “refurbished” cats. I don’t know which of those things Willy objected to most (Gary seemed to think he knows) but Willy had other ideas! Half in the trap, it triggered the door, faster than lightening, Willy backed out and was gone! Back to square one and the days before Gary would have to start rabies shots were ticking down. Advice from the vet, and Gary’s doctor: watch the cat (if he returned) and see if he displayed any strange behavior. To make a long story short, Willy returned to eat and eat and eat. No friendlier, no less demanding but thankfully not sick. Since then, Willy has been spending the cold nights inside, in my chair. You would think we have our teenagers back the way we worry about where he goes for sometimes hours. Willy now likes us to pet him, give him treats and make of him. He checked out our grandchildren at Christmas and decided to make a fast exit until they left. We check the door when he is out and about, making sure he isn’t waiting on the doorstep to come in. Willy went out New Year’s Eve and was still out when we went to bed about 12:30 AM. At 2:45, he was at the door and I was there to welcome him home. Now, we could sleep! We can’t believe his attitude: he ignores us, and he doesn’t seem to be concerned with how we fuss over him and will just walk away or turn his back. All the teenage years come rushing back. Just thankful he doesn’t drive. Have to cut this short, Willy’s supper time. In prior columns I’ve discussed various automotive fluids, which types to use and why to change them. Brake fluid needs to be changed every two to three years, or replaced with DOT 5 (Silicone) fluid. Failure to do so will result in low boiling temperatures and seizing pistons in calipers and wheel cylinders, resulting in brake failure. 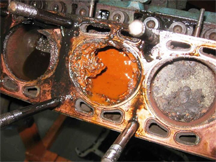 Transmission and differential oil needs to be checked to ensure proper lubrication. Engine oil needs to be changed regularly to prevent sludge, varnish and corrosion inside the engine. Soft metals like bearing shells can be damaged if the engine oil can be damaged by neglected engine oil which can become acidic. I have recently seen several photos that very graphically show the importance of regular coolant flushes and refills. The anti-corrosive properties of automotive coolant slowly fade away until the coolant can no longer protect against corrosion. 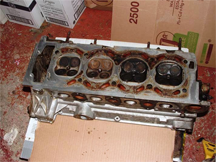 Notice this head gasket failure from a 2L Saab engine. 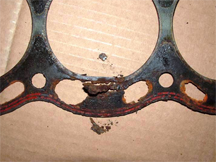 The gasket literally corroded away. A very expensive repair that could have been avoided with some simple and inexpensive preventative maintenance. So if it has been three, five, or even ten or more years since you have changed your coolant, you may want to put this chore on your to do list before your pride and joy looked like these pictures. 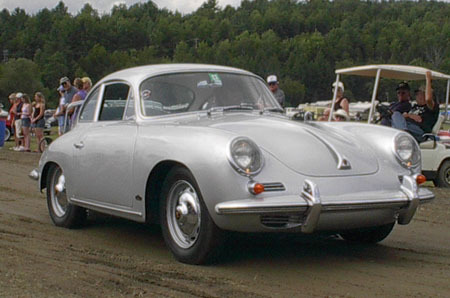 Certain Porsche, Volkswagen and Franklin owners need not worry. If my memory is correct, I believe it used to be the twelve days of Christmas. This year the Christmas “stuff” started to appear in two local stores at the same time the Halloween candy appeared in August. Back “in my day”, the Christmas season started when the Sears Christmas catalog appeared around Thanksgiving. Many an hour was spent pouring over that book, pencil in hand, to mark all the dreams a child could muster. Dream as we did, we also knew, somewhere in the recesses of our mind, that we might get one toy or game or maybe nothing from the catalog at all. Growing up, Christmas gifts were made up, mostly, of what we needed – not wanted. This was the time to get new PJs, socks, warm clothes – things that we had worn out or outgrown. 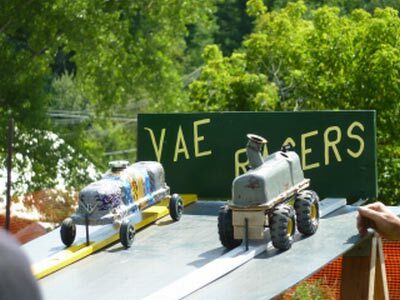 Many gifts were geared toward what the whole family could use – like a toboggan or skis or skates for the oldest and you would get the equipment passed down. I remember opening the “used” with the same enthusiasm as the new. My Mom would always add something to the used to make it seem new, such as, new laces, paint touched up, polished and maybe our name stenciled on the item. Actually, one of the highlights was our stockings from Santa. Many a Christmas Eve, my Mom was woken before dawn, to find four children creeping around in the semi-dark house on a mission to see if Santa had come and gone. Again, the stocking held things like toothpaste, new toothbrush, candy cane, and always a nice orange in the toe! It was a wonderful, magical time that I think has been lost since Christmas starts coming at us in August. Also, who needs anything? I would admit I have quite a few wants but certainly, at this writing, no needs. By now you can see why I’m writing this. Wouldn’t it be more meaningful and fun to go back to the “twelve days of Christmas”, not eighty? Actually be able to give someone something they need and get something you need. Teach each other that waiting for Christmas to get what may be waiting in your stocking or under the tree isn’t a bad thing but it just makes the anticipation even sweeter. Now, I’m not lobbying for you to not buy new socks or PJs when you need them and if you do, I’m not saying you have to wait for Christmas to get them. All I’m saying is that we all should have a little restraint when it comes to buying. When you can’t think of “anything” to get a person for Christmas – just maybe they already have too much. I told you that I don’t have any needs. I just remembered I do. I need a haircut – should I wait for Christmas?